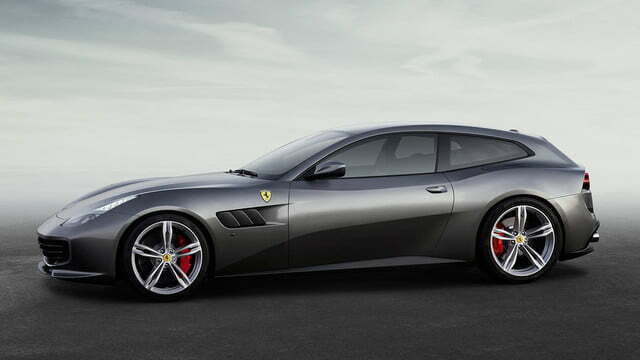 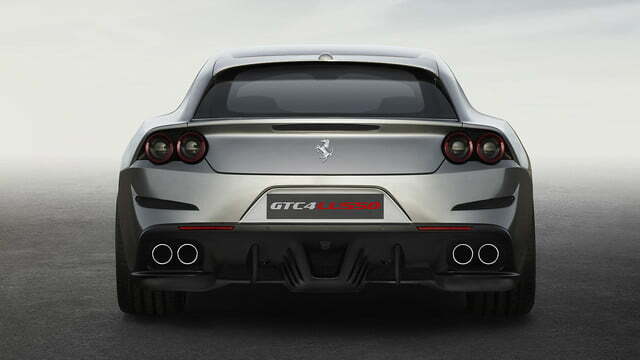 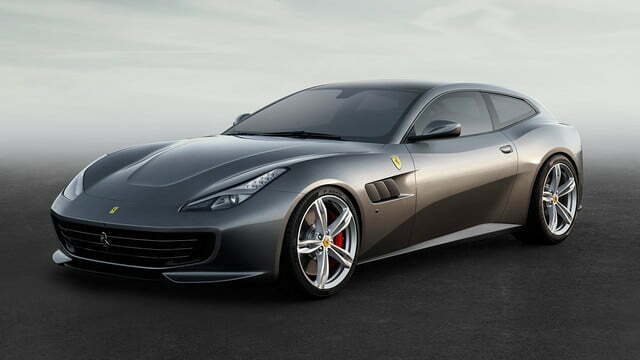 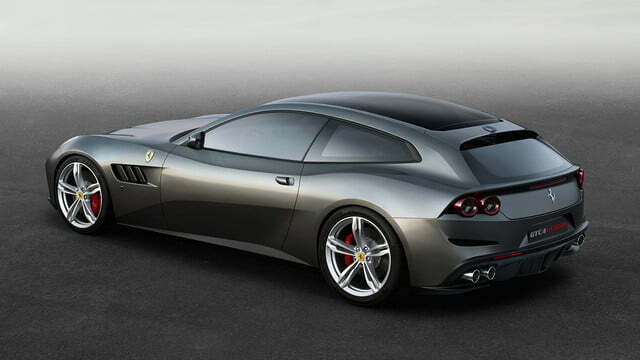 Newly-independent Ferrari has introduced a four-wheel drive, V12-powered four-seater called GTC4Lusso. 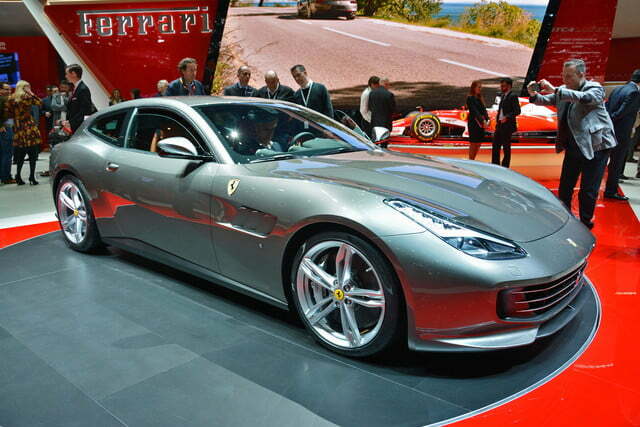 Essentially an evolution of the five-year old FF, the Lusso is currently being flaunted in public for the first time at the Geneva Motor Show. 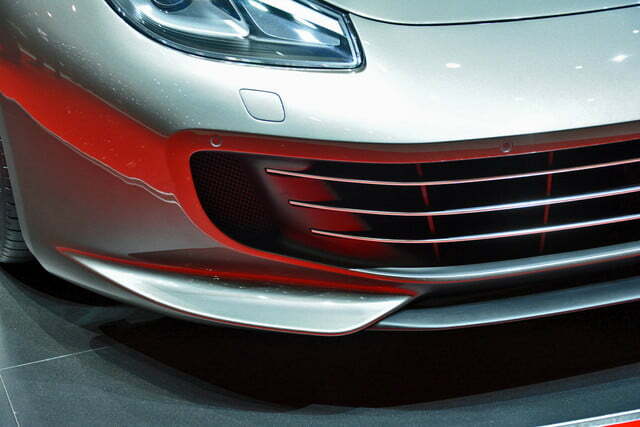 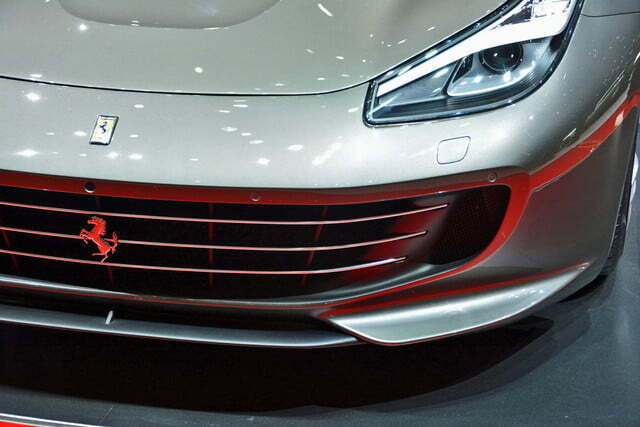 Visually, the GTC4Lusso wears an evolutionary design characterized by new boomerang-shaped headlights, a redesigned bumper that integrates a large splitter, and a wide grille with three long slats. 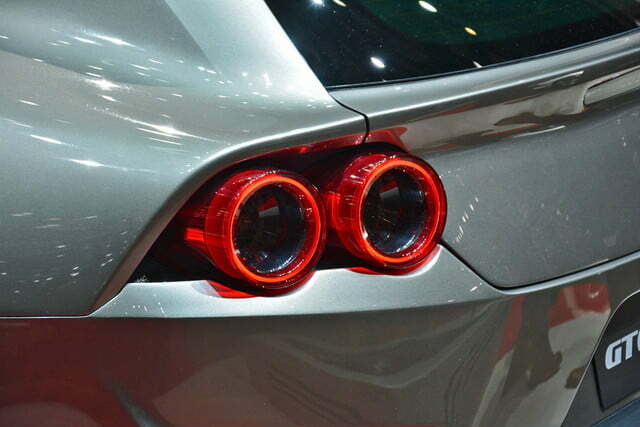 The updates continue beyond the front end with fender vents inspired by the ones fitted to the iconic 330 GTC of the 1960s, while the back end receives two additional tail lamps, a more rakish hatch accented by a spoiler, and a bigger air diffuser. 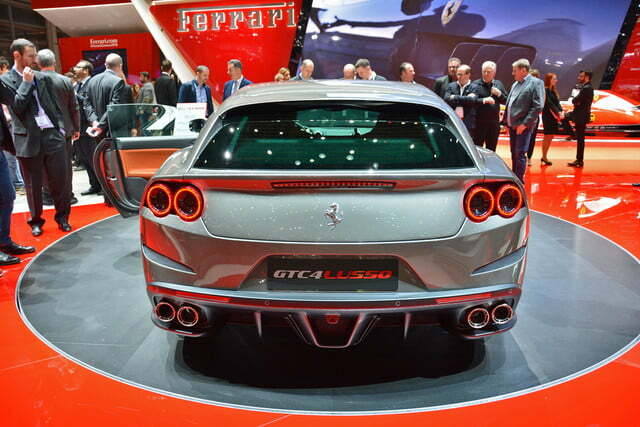 All told, the aesthetic updates go much deeper than the average mid-cycle nip-and-tuck. 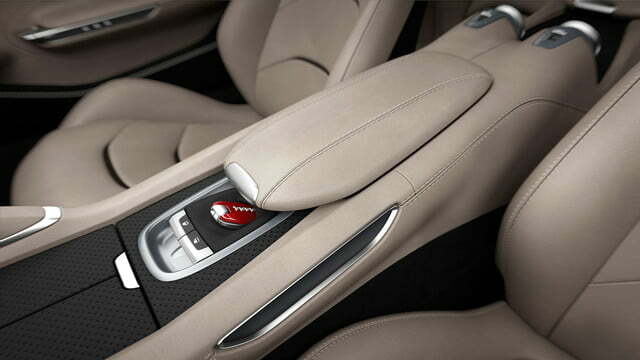 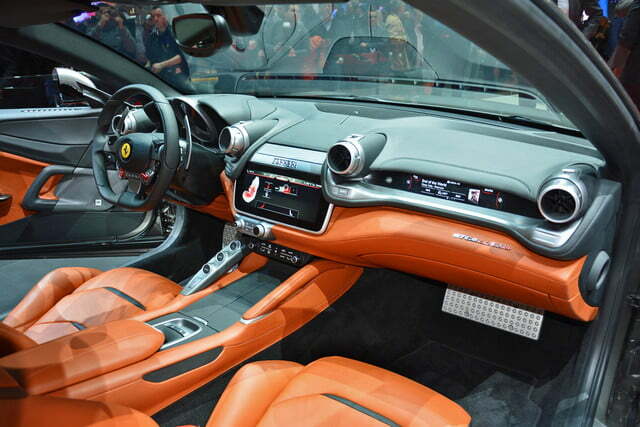 Ferrari has finally addressed the FF’s biggest shortcoming: its interior. 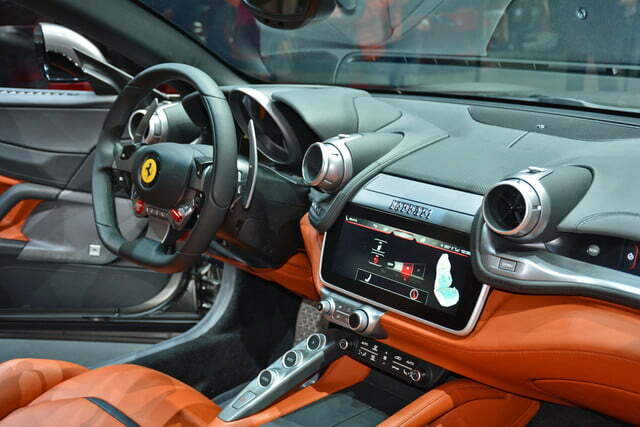 Built with markedly improved materials, the GTC4Lusso’s cabin gains a smaller steering wheel — a modification made possible by a more compact airbag — and a brand new infotainment system displayed on a state-of-the-art 10.2-inch touch screen integrated into the center stack. 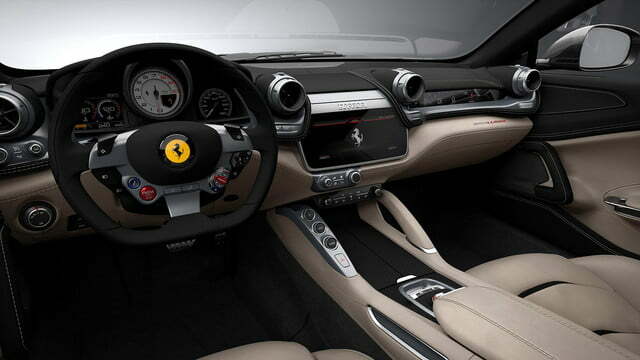 The driver sits behind a more modern-looking instrument cluster, and Ferrari has discreetly integrated a second instrument cluster into the right side of the dashboard so that the passenger can view key information such as how fast the engine is spinning, what gear the transmission is in, and what speed the shooting brake is traveling at. 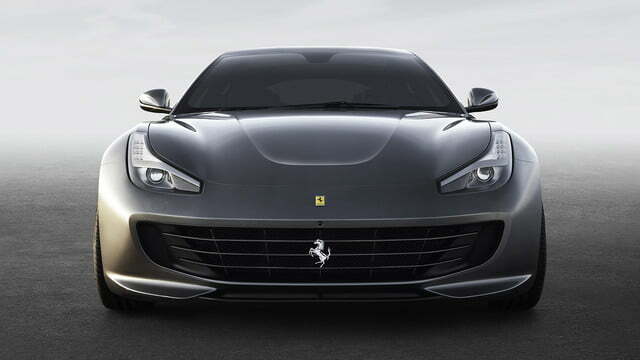 The Lusso boldly bucks the auto industry’s downsizing trend with a naturally-aspirated 6.3-liter V12 engine that delivers 680 horsepower at 8,000 rpm and 515 pound-feet of torque at 5,750 rpm. 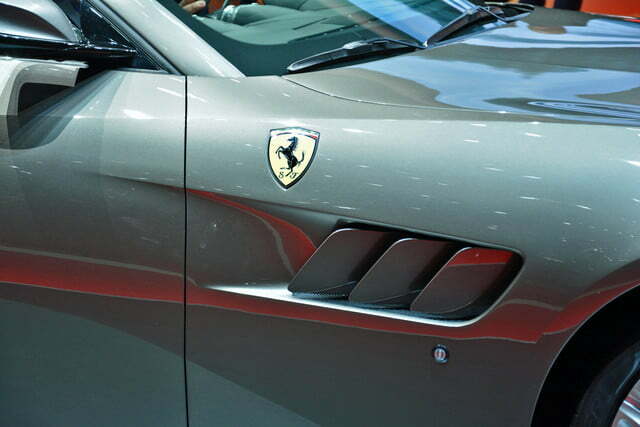 The engine is based on the same unit that’s found in the FF, but it has been massaged to deliver 30 additional ponies and 10 extra pound-feet of twist. 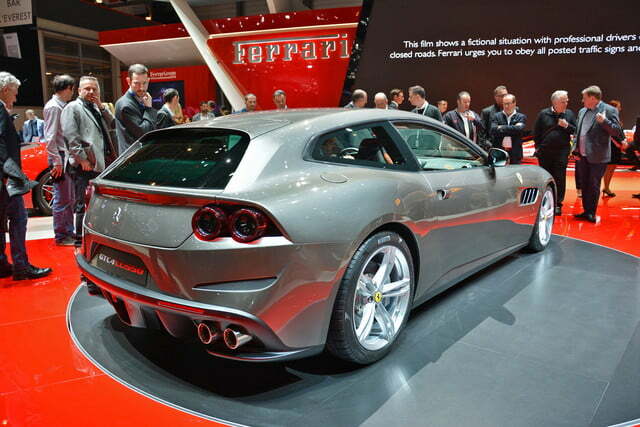 As a result, the roughly 4,000-pound Lusso rockets from zero to 60 mph in 3.4 seconds — 0.3 seconds faster than the FF — and it goes on to a top speed of 208 mph. 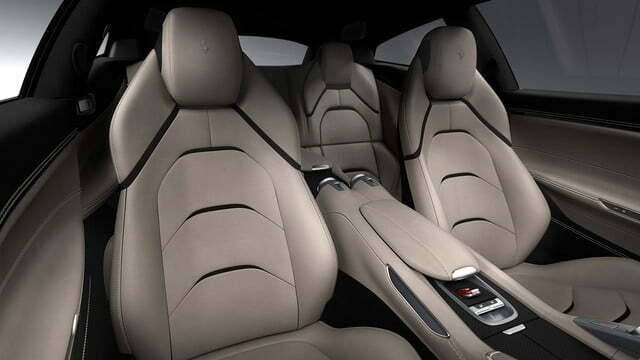 Like the FF, the Lusso is designed for enthusiasts who are looking for a high-end car they can drive on a regular basis. 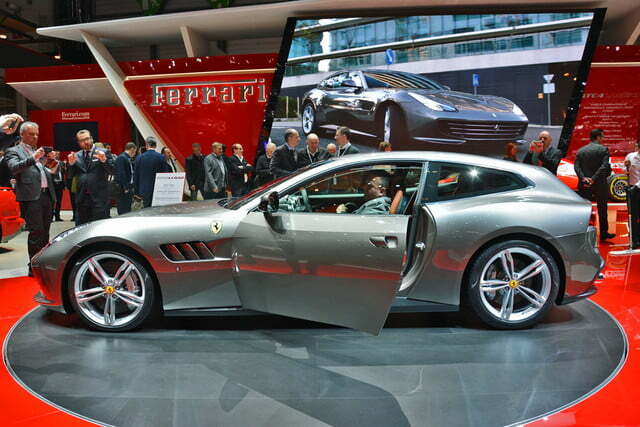 To that end, it’s fitted with an advanced four-wheel drive system developed in-house that works jointly with a four-wheel steering system and the Prancing Horse’s Slip Slide Control technology. 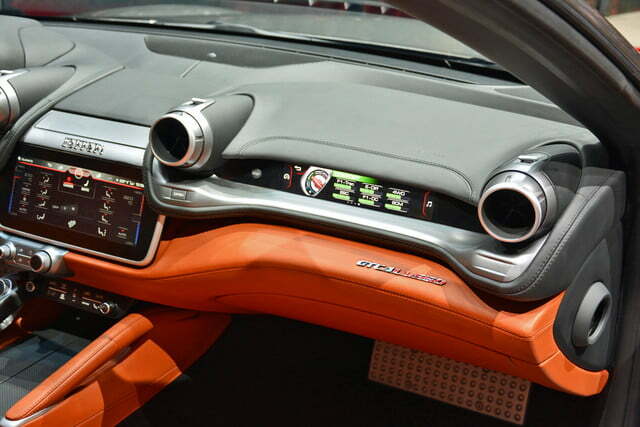 The high-tech gadgetry promises to keep the prodigious amount of torque generated by the 12-cylinder in check even on wet or snowy roads. 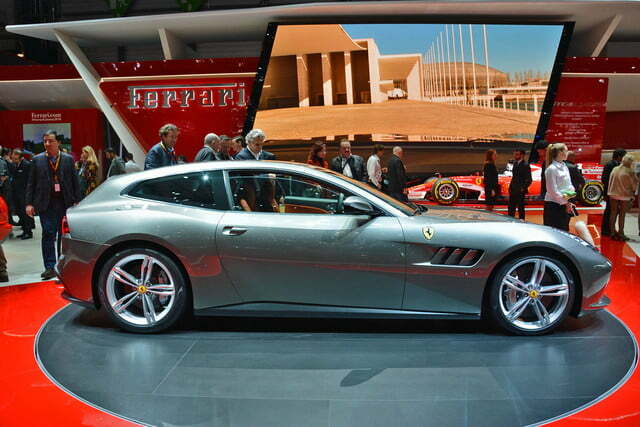 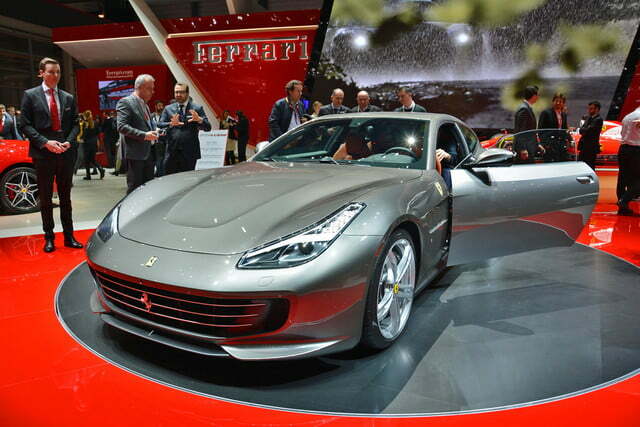 The 2017 Ferrari GTC4Lusso will go on sale in time for the 2017 model year. 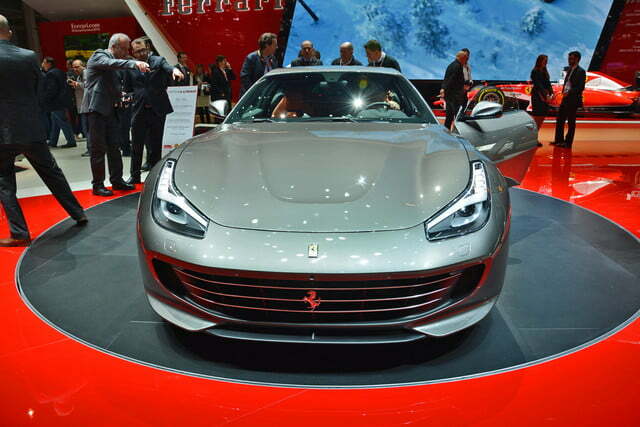 Pricing information hasn’t been published yet, though it’s expected to cost more than the FF, which carries a base price of roughly $300,000.